In ancient Polynesian culture, one way of electing the village chief was to see how well a person battled and rode the waves in the open sea. Heavy boards taken from the best trees were ridden while traversing waves and rip curls. In Hawaii, surfing was highly practiced that when Mark Twain visited the island in 1866, he noted the crowd of men and women congregating by the beach, all waiting to get the chance to ride the waves with their boards while wearing nothing. It was also through the efforts of a Hawaiian local that modern surfing became such a hit across different countries. Duke Kahanamoku was an Olympic swimmer who traveled to different countries and introduced the sport of modern surfing to the world in the 1950s. As Duke's popularity rose, surfing became a popular sport now enjoyed by other cultures as well. As a matter of fact, sports enthusiasts from various countries come to Hawaii just to catch that perfect wave. Surfing spots notable for their challenging waves include the Hanalei Bay in Kauai, Hilo in the Big Island, and the Pipeline and Kalapana in Oahu. If you want the thrill of speed from being propelled by air while surfing the waves of Hawaii, then get ready for kiteboarding or kite surfing. This type of surfing requires not only a surfboard but also a special kind of kite from which the surfer holds on to. Speed picks up as the kite glides through the air and the person surfs on the waves. Though the surfer relies on the kite for propulsion, he or she can control the direction. Kiteboarders can also do tricks such as jumps and somersaults, provided that they have the necessary training and skills. This kind of sport is risky not only for the participants, but also for beachgoers and swimmers in the same area. One of the new kinds of surfing popular with surfers from all over the world has its origins in this island state. Imagine a surfer standing on top of a board while maneuvering his or her way through the waves. Imagine that same surfer driving a paddle onto the incoming swell and pivoting perfectly, not losing his or her balance as he or she rides the waves while standing up on the board. Paddle surfing may look like a sissy way of riding the waves but it's tougher and harder to do and drives more parts of your body to a total workout. Even experienced and awarded surfers find that paddle surfing is a very enjoyable sport as it gives them more vantage point, letting them see incoming waves and steer clear of other surfers or objects while out at sea. Those interested in learning this new extreme sport can get lessons in Hanalei, Hawaii for an affordable rate per hour. Paddle Surfing Hawaii also gives lessons to tourists and locals who want to learn how to plow through the waves with a surfboard and a paddle. Scuba diving is a kind of activity that lets people experience the wonders of a world beneath the waves. Scuba diving is an activity that requires some level of skill for the participant. But in Hawaii, if you only want to go for a dive just once, you don't need to be certified. However, you have to be accompanied by a dive master to assist you, and you can only go down within a prescribed depth for beginners and amateur divers. For those who want to go scuba diving more frequently either as a source of income or for recreation, they need to be certified first. You can get lessons in the many dive clubs in the major islands of Hawaii. Once you have some knowledge of the basics of diving in deep water, you can then enjoy the colorful sights of tropical fish and plants under the sea. Take diving to new depths by trying out shark diving packages when on vacation in Hawaii. These tours are sure to rouse more than just goose bumps from people who are willing to go into secure steel cages that are then lowered a few feet into deep, shark-infested waters. You can get a much closer look at the curious (or hungry) sharks who can swim very near your cage. Take photographs of the different types of sharks such as gray reef sharks, Galapagos sharks, and even tiger sharks, but don't stick your hand out or even grasp the metal bars if you want the experience to remain thrilling and happy. However, if you'd rather watch from a safe distance, you can opt for a half-price package and just stay on the boat. Popular shark-watching tours can be found in Haleiwa Small Boat Harbor, with many touring boats and agencies offering such packages. Riding those jetskis and speedboats are what gives speed-devils their thrill. However, a good old rowing exercise can be the balm for the senses of the extreme sport-enthusiast. Kayaking on the ocean may look like a very easy sport to do especially on the smooth as glass seas of Kauai. However, just like how paddle surfing gives one more body ache and adrenaline rush than normal surfing, kayaking is also a challenging and rewarding activity to do while in Hawaii. Kayaking in canals and rivers also allows tourists to get more than just a glimpse of the surrounding nature on the shores. Those who are into the more high-octane kayaking can opt for trips in the open seas as well as contests and races for more resistance to work those muscles on the upper body. If you've had enough of the cobalt seas and the white, sandy beaches of the islands in Hawaii but still want some adrenaline rush, get ready to bust out your gams by riding bikes through rough terrain. A particular bike tour package can take you on a historical route through selected places in Hawaii such as the movie sets for Jurassic Park and Godzilla. A kuahale or small village comes next wherein you can learn about how native Hawaiians lived before their contact with Europeans. The terrain is easy enough to maneuver, with only a few rugged roads and narrow and steep passageways to whet your excitement. You can also pass by a World War 2-era bunker that has been converted into a museum. Up steeper inclines, you can also encounter nature at its finest as you cross small streams and go through undergrowth. Finally, when you reach the cliffs, you can get a majestic view of the ocean and may even catch a glimpse of humpback whales if you go there between December and April. 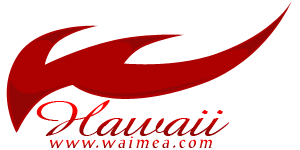 A warning in bold, red letters on the website of Hawaii Extreme Sky Diving tells site visitors that skydiving is an extremely dangerous activity. Though it may detract most of the faint-hearted, a few brave individuals scroll down to learn more about this sport that's a popular activity in Hawaii. What better way to feel the rush than by literally hearing the wind whoosh through your ears as you plummet to the ground in a guided and secure manner right? If you want to literally take the dive, then sign up for lessons at the Hawaii Skydive in North Shore for the best view of the islands. Hawaii definitely holds a lot of opportunities and surprises for tourists who want to experience thrills through extreme sports. If you want to remember Hawaii not only for its beautiful beaches and scrumptuous food, then try out at least one of the extreme sports mentioned above and make the most out of your vacation in this tropical paradise.